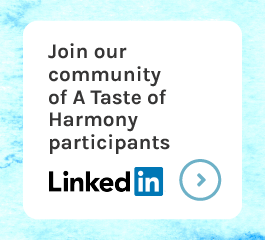 The theme of A Taste of Harmony fits in well with the programs we run such as Toddler Time, Brain Training at the Library and Junior Brain Games. 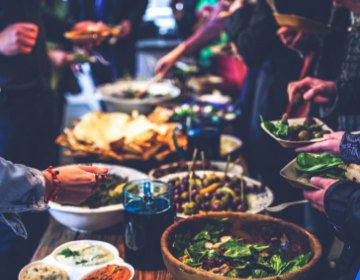 In these programs, we present books and activities that fit into the theme of the food and culture of different countries. Christiane reading Stone soup at Junior brain games. We have participated in A Taste of Harmony for several years now. 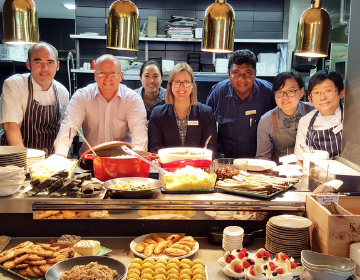 Last year we integrated A Taste of Harmony into a number of the programs we run. I presented the story Stone soup, a Russian folk story to the Junior Brain Gamers. There were ten children, and each one of them had a picture of one of the foods mentioned in the story. I had a Hungarian bogracz (cooking pot), a wooden spoon (from China). The children participated by putting their pictures into the pot at the relevant time, stirring the soup, and then sharing it out to eat afterwards. They also participated in handicraft by drawing the soup in the bogracz. The adult Brain Trainers enjoyed jams from different countries for their morning and afternoon tea. For Toddler time, the children enjoyed hearing books about different foods, for example Growing vegetable soup, The giant jam sandwich and The Magic lunchbox. Approximately fifty children and adults attended Toddler time during the week. 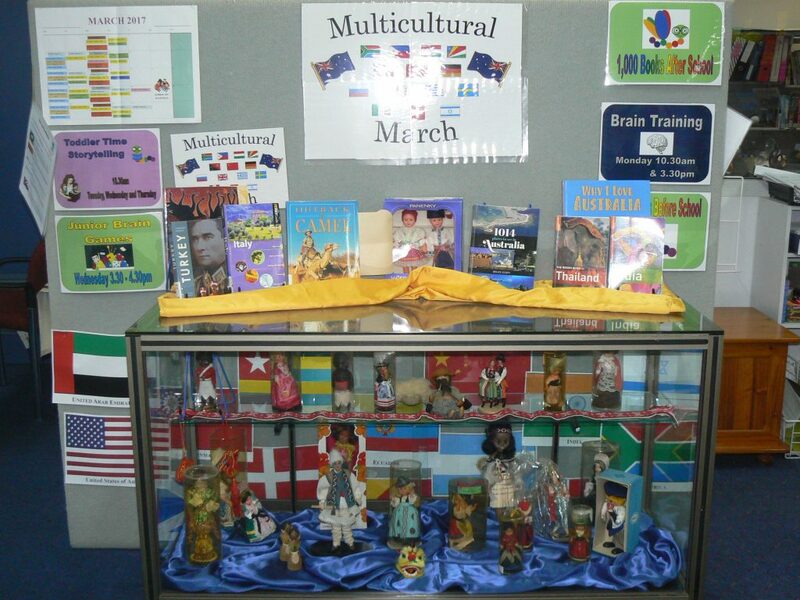 We created displays of costume dolls and books about foods from different countries for all customers to enjoy. Brain training at the library. 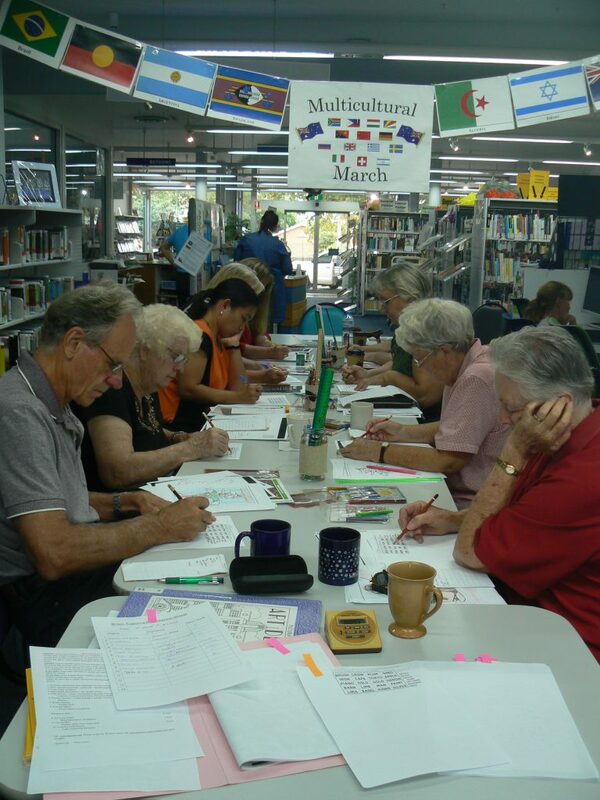 It’s made the library programs during the week different and enjoyable for the participants. I am German, have spent twenty years living in Europe, and travelling throughout extensively. Some of our staff have German and Dutch backgrounds. 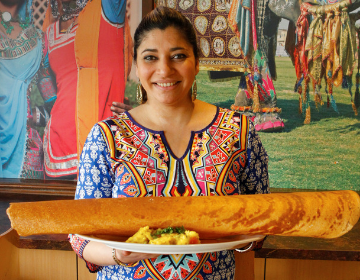 We often discuss different foods, customs and cultures. I also encourage the Brain trainers to speak about their different backgrounds. Costume doll display at the library. 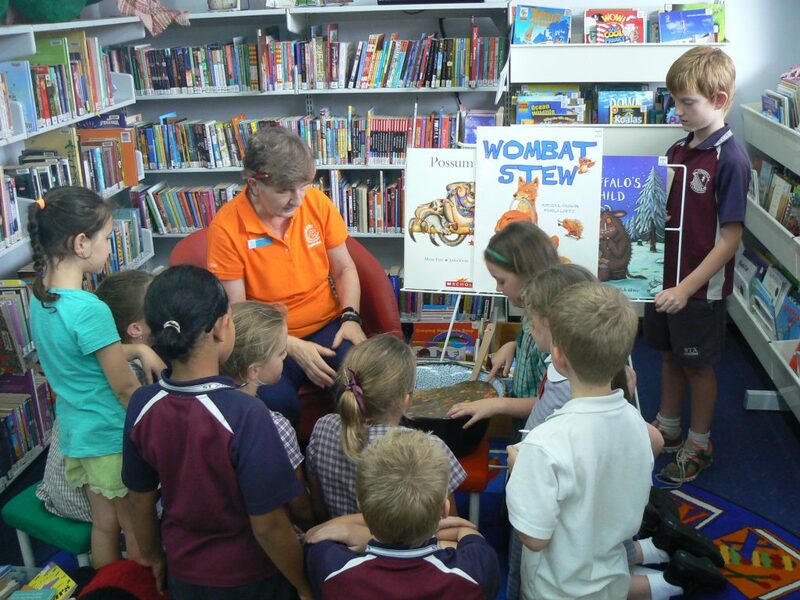 Find some great, fun food and culture books, especially picture books, to enjoy with children and adults, and just chat about them after reading. It’s fun and it’s free!